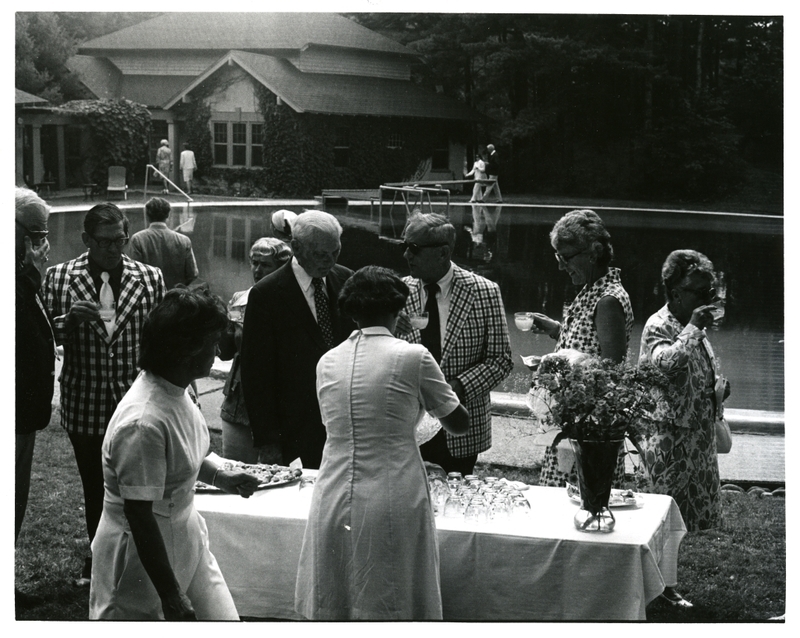 Series of 21 photographs of the River House transfer/dedication ceremony including shots of Roger Howell (Bowdoin pres.) receiving deed from Marvin Breckinridge (Mrs. Jefferson Patterson). Other photos are of Marvin Breckinridge delivering the dedication speech and of various unidentified guests arriving, conversing, and drinking punch.